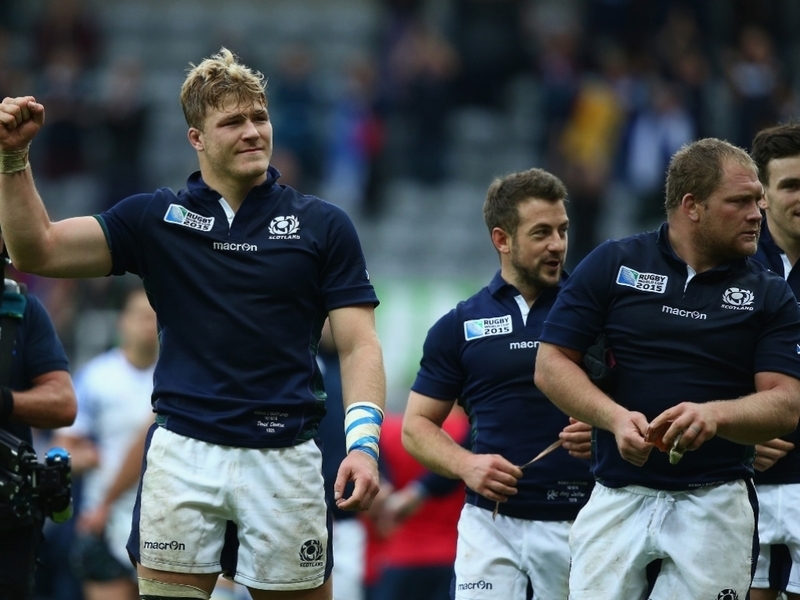 Scotland have named an impressive line-up for their Six Nations opener against England at Murrayfield as they look to start with a win on Saturday. There are just two new faces to the starting XV that took to the field to face Australia in the Rugby World Cup quarter-final, with Matt Scott and John Barclay starting in place of the injured Peter Horne and Blair Cowan (benched). Scott will partner Mark Bennett in Scotland's midfield between a talented back-three of Stuart Hogg, Sean Maitland and Tommy Seymour while the half-backs are Finn Russell at number 10 and captain Greig Laidlaw at the base. In the forwards, Barclay joins John Hardie and David Denton in the back-row, with second-row brothers Jonny and Richie Gray set to start their 10th Test match together, each packing down behind the all-Edinburgh front-row of Alasdair Dickinson, Ross Ford and Willem Nel. "There's a huge amount of excitement and determination among the group to start well, and do well, in this Championship, and show that they have learned from past experiences and developed their game," said Scotland head coach Vern Cotter. "Playing in front of a sold-out BT Murrayfield Stadium is hugely motivating for the players, who are all very proud to wear the jersey as we know. They like working hard for each other in the no-excuse environment that exists in the squad. "England will look to build their game from set-phase dominance, while we expect them to have developed their attacking play into the wider channels, which can create challenges as well as opportunities. "We're expecting them to be extremely motivated and physical, and we're looking forward to that challenge. Continuity and accuracy will be key for us in this game." Scotland: 15 Stuart Hogg, 14 Sean Maitland, 13 Mark Bennett, 12 Matt Scott, 11 Tommy Seymour, 10 Finn Russell, 9 Greig Laidlaw (c), 8 David Denton, 7 John Hardie, 6 John Barclay, 5 Jonny Gray, 4 Richie Gray, 3 Willem Nel, 2 Ross Ford, 1 Alasdair Dickinson. Replacements: 16 Stuart McInally, 17 Gordon Reid, 18 Zander Fagerson, 19 Tim Swinson, 20 Blair Cowan, 21 Sam Hidalgo-Clyne, 22 Duncan Weir, 23 Duncan Taylor.